SOMETHING’S COMING! UNIVERSAL CITIES OF LIGHT, LOVE, & HEALING! THE 1ST CITY WILL DESCEND THERE. Filed under: Cities of Light, Genii Townsend |	Comments Off on SOMETHING’S COMING! UNIVERSAL CITIES OF LIGHT, LOVE, & HEALING! 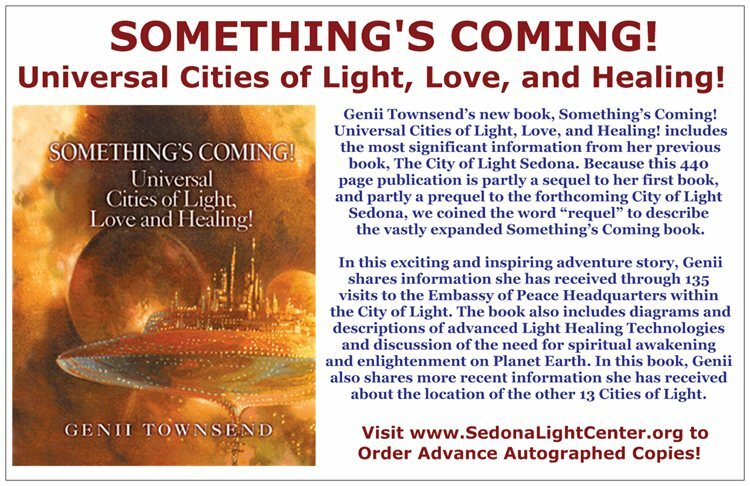 In her book City of Light – Sedona, Genii Townsend painted a picture of the impact of entering a City of Light. … entering a place of such beauty that it makes you an instant believer that anything is possible, like entering a 5-story-high gate that is encoded with your personal beliefs that make you feel like you just came home. … experiencing healing techniques in Light modules where no drugs, knives, or needles can sever the body’s electrical lines. … entering a “Memory Manor: building where you can release past memory hurts with no emotion attached. … standing by a Fountain of Light that makes you feel great and sitting on benches that massage your body. … taking a dip in a healing pool that can clear skin conditions. … being able to balance your emotions in an Empowerment Emporium. … seeing babies born in a Birth-aterium, laughing with the mother who had no anaesthesia, no pain and the only crying would be for the pure joy of the experience. 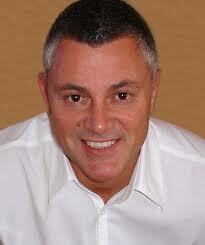 In An Hour with an Angel on Sept. 8, 2012, Archangel Michael described what we can expect to find in a city of light. “But you are also approaching, they are approaching, you are approaching, coming together to build places that are of Nova Earth, places where business, what you would think of as commerce, are places of beauty, of light, of community, of creation. He said they would emerge all around our planet and that we are already anchoring them. “The Cities of Light have been and are at this point cities of the future and they emerge all over your planet. They are magnificent, you can have a vision of a crystal city, spires similar to Atlantis in some ways, but more glorious. Uriel went over the different purposes the cities of light will serve. “As you emerge into the 5th dimension, many of you have thought ‘How are we going to deal with our cities?’ Well many of your cities will be transformed and we would like to say ‘Of course there is a rebuilding and a co-creation’ but these other Cities of Light will also be anchored in the fullness of their beauty and the fullness of what they are for. He said that the development of the cities was coming at the speed of love, which is the speed of light squared. These descriptions of the cities of light remind me very much of descriptions of the temples of learning and healing on the Mental Planes of the spirit world. (8) They exist in the Fifth Dimension and higher and are destined to play a large role in the transfer of learning and technology for us in the Golden Age fast approaching. At the Sedona conference, we were hoping that the degree of love generated would bring to us the opening of the New Jerusalem, the city of light that stretches from Sedona to Phoenix. But evidently we’re a mite soon in our expectations, but I’m told the time is very close. (1) Genii Townsend, The City of Light – Sedona., Slide 19. (2) ”Transcript: Archangel Michael ‘The New Earth will be far More Magnificent than You Imagine’” Sept. 8, 2012, at http://the2012scenario.com/2012/09/transcript-archangel-michael-the-new-earth-will-be-far-more-magnificent-than-you-imagine/ . (3) Archangel Uriel through Linda Dillon, March 29, 2012, at http://the2012scenario.com/the-2012-scenario/what-role-are-the-angels-playing/heavenly-blessings-with-archangel-uriel-march-29-2012/. (7) ”Transcript: Archangel Michael ‘The New Earth will be far More Magnificent than You Imagine’” Sept. 8, 2012, at http://the2012scenario.com/2012/09/transcript-archangel-michael-the-new-earth-will-be-far-more-magnificent-than-you-imagine/ . No development on Earth is more fascinating than the advent of the cities of light. I can trace the discussion of them to the middle of the last century. (1) However, it’s probable that they were being discussed long before that. In January of 2012 SaLuSa told us that the cities were “preparing to make their appearance on Earth.” On this occasion he focused on how “they were examples of what can be done by using our technologies for the good of all.” (6) He described those technologies as they applied to healing. “Many civilisations of the Galactic Federation will contribute to the task of attending to your needs, and each often has their own specialised expertise. Be assured that before you reach Ascension, you will have healing that is based on Light, Sound and Colour. 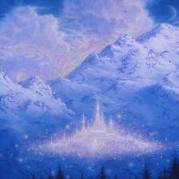 On another occasion, he said that another function of the cities was to introduce us to what life was like in the higher dimensions. A few months ago, SaLuSa described them as integral parts of the process that will convert us into galactic beings. “Everything you expected to take place will do so, and as progress is made you will find that it will take you further than you thought possible. It will be a wonderful time that will see you relieved of all of the old problems that have held you back. It is time to go speeding forward and move into a new world that reflects your upliftment into the higher dimensions. In Heavenly Blessings on Aug. 30, 2012, Archangel Michael revealed that the cities of light were originally scheduled to be brought here 80,000 years into our future but were introduced earlier when our future wingmaker selves pleaded that they be brought to Earth now. “In the year that you know as 2000 we began working with you, we began, your star brothers and sisters began, and your future wing-maker selves began working with the Cities of Light. “And these Cities of Light are not simply etheric forms but let us suggest to you and tell you, share with you that in the beginning these Cities of Light were 80,000 years in your future. The work has been done and it began with a plea, not only from us but from your future selves guiding the actions, the decisions, the choices, the dreams, the inspirations, the desires that you, in human form right now have to create Nova Earth. Recently Archangel Michael named some of them. “Now the Cities of Light emerge, many are seeing them and they have been forming all over the planet gloriously, yes the first one was ‘The New Jerusalem’, Phoenix to Sedona. But there has been one ‘The Atlantean City of Light’, ‘Terra Tralana’, ‘Idaho’, many, many … ‘Michigan’. “One of the most magnificent cities of light is already emerging slightly north of Shanghai, south of Beijing. And this will be a city of light much like long ago in Atlantis, a port where the star brothers and sisters would come for exchange of cultural ideas, technology, art. It will be magnificent. So think of this, look for this, work on this. Could the latter city of light be Shamballa? We don’t know. AAM says the cities of light can be glimpsed with our physical eyes but are more apparent to our Third and Fourth Eyes. Thus the cities of light function to heal us and raise our vibrations, enabling us to ascend more easily than otherwise at the end of this year and preparing us for galactic citizenship. They are becoming visible to some now but will be more apparent later and will continue to serve their mission well into the Golden Age. 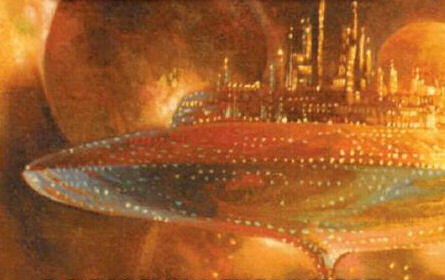 Tomorrow, we’ll continue our study with some extended word-pictures of how the cities of light appear and function. (2) Genii Townsend, City of Light Sedona and Something’s Coming. (4) SaLuSa, July 22, 2011. (5) Archangel Michael, Apr. 1, 2010, through Ronna Herman, at http://www.ronnastar.com/latest.html. (6) SaLuSa, Jan. 18, 2012. (7) SaLuSa, July 22, 2011. (8) SaLuSa, Sept. 2, 2011. (9) SaLuSa, Sept. 19, 2012. (10) ”Transcript: Archangel Michael ‘The New Earth will be far More Magnificent than You Imagine’” Sept. 8, 2012, at http://the2012scenario.com/2012/09/transcript-archangel-michael-the-new-earth-will-be-far-more-magnificent-than-you-imagine/ . 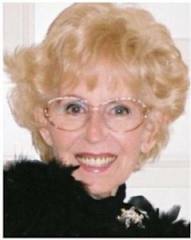 Genii, author of CITY OF LIGHT – SEDONA is a fascinating, very talented woman. Her highly successful career has been with puppets. You will enjoy this interview! My prayer for this week, during which the 10th anniversary of 9/11 will be on center stage in every mainstream media, is that Earth humans will choose to think on the marvels that can be. Let us learn about the Cities of Light that will soon appear in the sky—Healing Centers of Light & Love. Listen as Genii Townsend describes the first City of Light to appear in the sky over Sedona, Arizona. Order her new book City of Light Sedona from the Light Center website or at Amazon.com. Ponder this question: Is the world as we presently see it the best Creator God can do? Recognize that the world we presently see outpictures humanity’s creation—a humanity that does not know who they truly are. 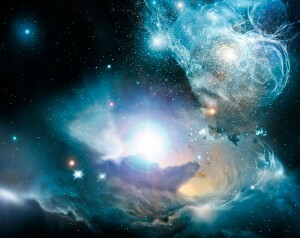 Let’s leave behind the world of fear and experience the rapture of learning about the world Creator God did create … of learning that Love is the only power that exists … of learning that an All Loving God created an All Loving Universe and that we can ascend into this world if we so choose! Let’s allow fear-mongering to fall on deaf ears. Let’s take control of our thoughts and center them upon Love & Light. Let’s create this world of Love & Light together … Let’s live life as One! Filed under: 2011, 2012, 9/11, America, Aquarian Age, Ascension, Cities of Light, Citizen Rights, Coping with Crisis, Dimensions, Divine Plan, Earth, Emanuel Kelly, Enlightenment, Extraterrestrials, Fear, Full Consciousness, Gaia, Galactic Messages, Genii Townsend, GOD, Healing, Holistic Spiritual Growth, Illness, Imagine, John Lennon, Love, Medicaid, Medicare, NEW AGE, Our Galactic Family, Peace, Politics, Spirituality |	Comments Off on INSTEAD OF TERRORISM & FEAR, LET’S THINK ….